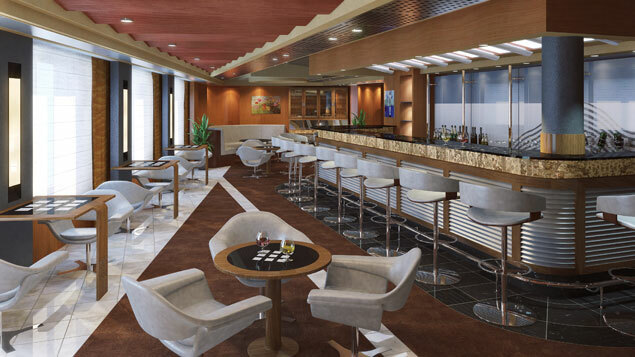 Nieuw Amsterdam will launch its first voyage in 2010. 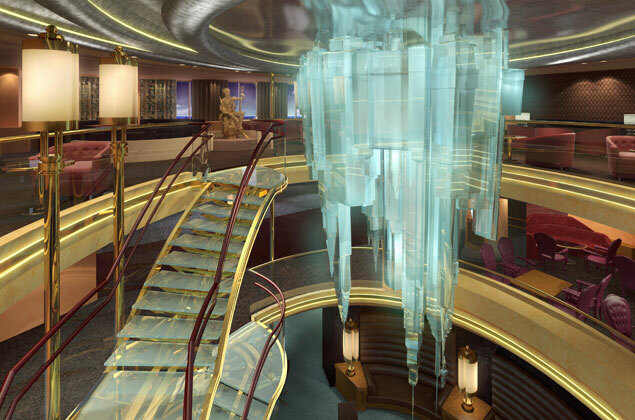 It will feature glass elevators that face the outer ends of the ship for a breathtaking view, a cyber-coffee house, amazing restaurants including an Italian restaurant, and an upgraded spa with a hydro-pool and thermal suites. The gymnasium onboard will be the largest ever built for the Holland America Line, and the ship boasts 11 passenger decks. The brand new Nieuw Amsterdam will include luxurious private cabanas that are tastefully decorated and full of amenities; the Retreat cabanas are even lovelier, so reserve one today. 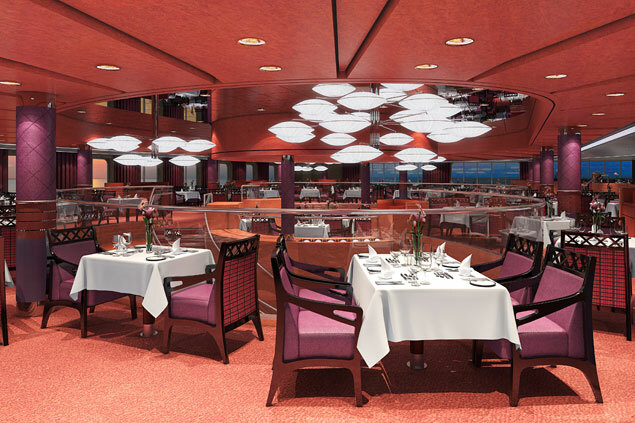 The ship will include informative enrichment programs, cooking classes, and more. The Greenhouse Spa and Salon is the perfect place to spend a day getting pampered - enjoy a massage, a facial, or even a manicure. Relax poolside at the Lido Pool, and soak up the sun, or make a splash. There are also great kids programs, like Club HAL® for kids age 3-12, and the Loft for the teens. 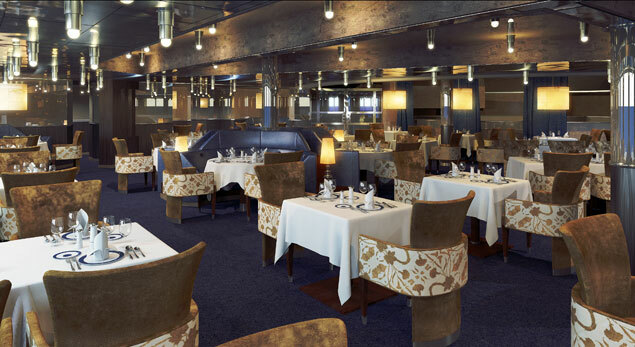 Dining on Nieuw Amsterdam is a delicious experience - top chefs, a variety of cuisine, and the perfect atmosphere are all part of the meal. The Main Dining Room will provide impeccable service, a grand wine list, and even vegetarian and low-carb meal options. The Canaletto Restaurant is an amazing Italian spot, while the Tamarind Restaurant and Silk Den Lounge is a Pan Asian experience with a panoramic view. The Pinnacle Grill serves seafood and steak, and wines to match your meal. The Lido Restaurant offers a more relaxed atmosphere for all three meals and includes fresh food cooked-to-order. There is also a variety of casual options to choose from, including the Explorations Café, a coffee house with Internet access. 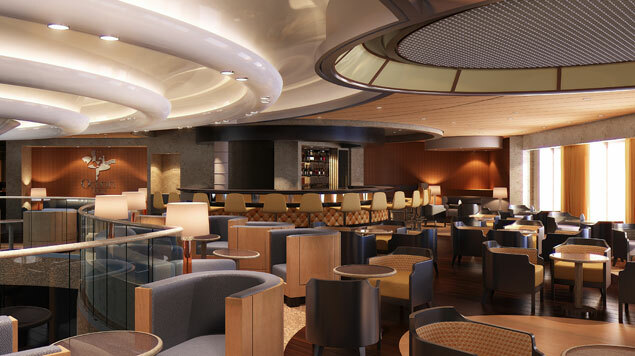 If you prefer a more private meal, the ship provides complimentary room service 24-hours a day. Nighttime on Nieuw Amsterdam is an experience in itself. Get ready to go out, and then hit the bars and lounges for some great cocktails - enjoy the ambience and good company as well. The Show Lounge is the perfect place to catch a live performance. It features vocalists, illusionists, comedians, dancers and variety acts. The Crow's Nest, with its remarkable view, is the perfect nightclub - enjoy the music as you dance the night away. The casino features poker, roulette, and more of your favorite games from Las Vegas.